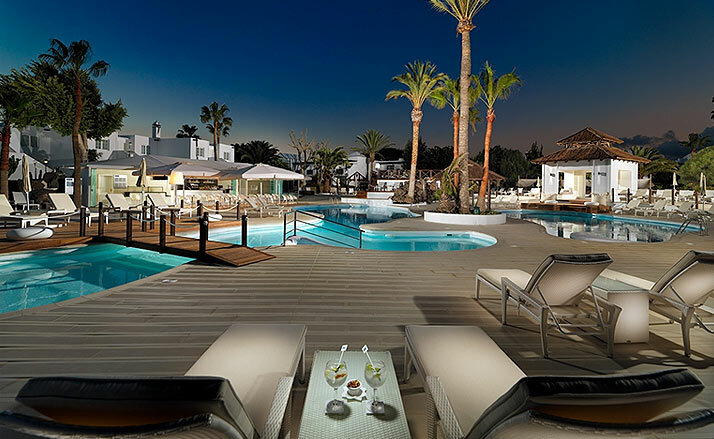 Located in Playa Blanca, a fishing village in the south of Lanzarote, the H10 Sentido White Suites is an elegant, welcoming interior designed with an Arabic touch that blends perfectly with the traditional architectural style of the complex. A Boutique Hotel specialized in holidays for adults. · We have changed the light bulbs by LED bulbs consuming less energy, we have changed as well the televisions for plasma screen TV’s that consume less energy. · We buy many products to local companies where apart from be supporting these companies and contributing to its survival, we avoid contamination, as are natural products of the island and not need transport from outside. · We have collaborated in collecting plastic caps to donate to Sofia. · We have collaborated on a Christmas toy collection for children with fewer resources. · Collaboration with cultural events with the local government of Yaiza (poetry meetings).